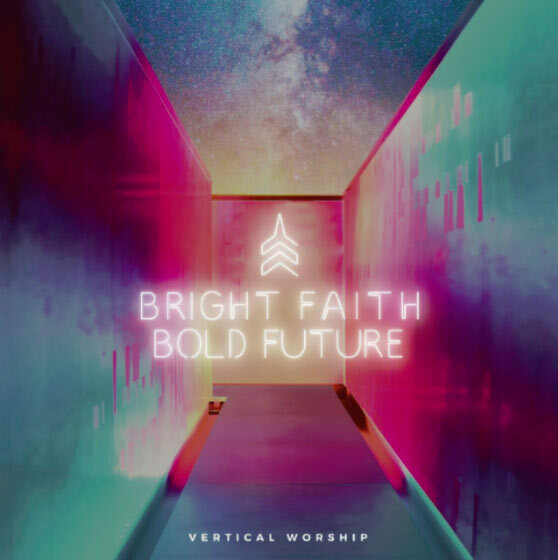 Nashville, Tenn (March 28, 2018) Vertical Worship announces the upcoming release of their newest project, Bright Faith Bold Future, available on April 6th. This is their fifth release with Essential Worship/Provident Label Group/Sony Music since 2012. The album was recorded at Harvest Bible Chapel’s Chicago Cathedral campus at the end of 2017. Vertical Worship has released three videos for the project, two of which were recorded at the Planetarium in Chicago and "Real Thing" was captured live during the recording (see below). The first two songs released from the project, "Real Thing" and "Over All I Know," have already achieved more than 500k streams. "Hallelujah Amen" was released last week, March 23rd and one more song, "Yes I Will," is planned for release this week on Good Friday, March 30th. "As we prepared to write songs for this album, we recognized that for many people, there are legitimate reasons to be angry, to be afraid, to look at the future with doubt," shares Luke MacDonald, Executive Ministry Pastor. "The world is shouting fear...but we simply can't. We’ve seen too much. He's good. He's kind. His promises are true. So whether we feel like it or not, whether we can see it right now or not, we march forward in faith; we shout faith into the fear. We rest in faith and knowledge that our God is over all we could ever know and that gives us a bright faith and a bold future." Vertical Worship is a collection of worship leaders that include Andi Rozier, Lauren Smith, Tara Cruz, Jake France, Judd Harris and Jon Guerra, who play each week in one of the seven campuses with 13,000 people in attendance across Chicagoland’s Harvest Bible Chapel. By serving the local church, the worship team has the opportunity to truly invest and witness what is going on in the church on a personal basis. The songs Vertical Worship writes are drawn from a deep well of reflection, prayer, meditation and teaching. Over the years, Vertical Worship has introduced the popular worship songs "Spirit of the Living God," "Exalted Over All," "The Rock Won’t Move," "Lamb of God," and "Found In You." Impacting the church and their listeners, their songs have accumulated more than 60 million streams. Vertical Worship will be featured on the OUTCRY TOUR in April - dates listed below.